If you're excited about Marvel's "Guardians of the Galaxy" you really should "like" director James Gunn's Facebook page. Why? 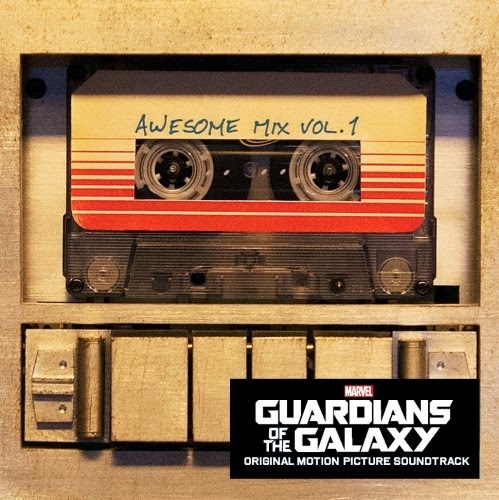 Lots of goodies about the film, including a link to purchase Peter Quill's mixed tape. The trailers feature some cool tunes and now you can pre-order the soundtrack on Amazon for $19.47 by clicking here. 1. Blue Swede – "Hooked on a Feeling"
2. Raspberries – "Go All the Way"
3. Norman Greenbaum – "Spirit in the Sky"
4. David Bowie – "Moonage Daydream"
5. Elvin Bishop – "Fooled Around and Fell in Love"
6. 10Cc – "I’m Not in Love"
7. Jackson 5 – "I Want You Back"
8. Redbone – "Come and Get Your Love"
9. The Runaways – "Cherry Bomb"
10. Rupert Holmes – "Escape (The Pina Colada Song)"
11. The Five Stairsteps – "O-O-H Child"
12. Marvin Gaye/Tammi Terrell – "Ain’t No Mountain High Enough"